The Aberdeen Asset Management Melrose Sevens 2017 take place on the 8th April at the home of rugby sevens, the Greenyards in Melrose. Some of the international teams taking part are Western Province (RSA), Sweden Co-Optimists and Harlequins. Scottish clubs appearing will include Gala, Hawick, Jedforest, Kelso, Peebles, Selkirk, Ayr, Boroughmuir, Currie, Heriots, Glasgow Hawks and, of course, Melrose. It is such a popular event that our accommodation fills up quickly year on year. However, we still have some spaces left for meals, but again please book quickly to avoid disappointment. 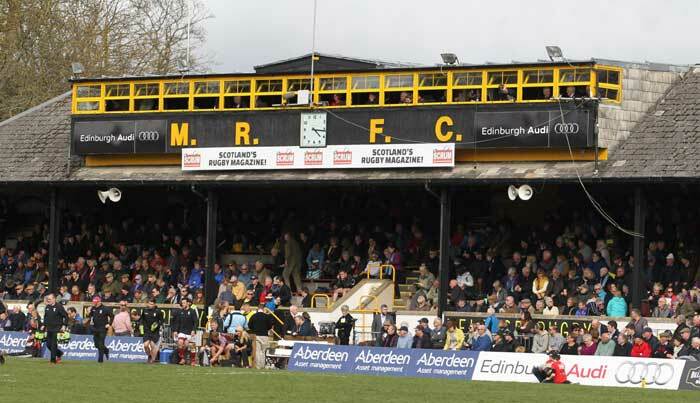 Tickets for Melrose Sevens can be bought directly on the Melrose 7’s website. Why not come to Melrose over the next few months, enjoy a game of rugby at the Greenyards and take advantage of our special winter accommodation offers? Our special winter break offer, available from December 2016 till March 2017, includes 2 nights Dinner, Bed and Breakfast with prices from £73 per person, per night at Burts and from £72 per person, per night at Townhouse (these offers are for twin/double and subject to availability). Escape the city, and enjoy a weekend in the country including the beautiful and scenic rail trip from Edinburgh to Tweedbank on the Borders Railway. Remember to let us know and we can organise to pick you up from the station. Melrose are currently riding high in the Scottish Premiership with some key matches to be played in early 2017, including fixtures against old rivals Watsonians on the 21st January and Heriots on the 11th of February. Melrose reached the BT Cup final in April 2016 (losing to Heriots) and are hoping to go one step further and win this coveted cup in 2017, cup matches run throughout the first three months of the year. Living and working in Melrose, we are very proud of our rugby team, if you haven’t been to a rugby match in the Borders, we highly recommend it. Melrose is recognised as the home of rugby 7s throughout the world, and the Borders have produced a wealth of top-flight international players, so we encourage you to stay with us and experience the thrills and spills of a match at the famous Greenyards. If rugby is not for you, why not just enjoy some rest and relaxation in Melrose, there’s plenty more to see and do in the Scottish Borders. We have some superb local independent shops, read more in our previous blog.